During my travels to The American Legion Department of France in early June, I had the opportunity to provide an Operation Comfort Warriors (OCW) grant of $20,000 to Landstuhl Regional Medical Center in Germany. I presented this grant alongside Sons of The American Legion National Commander Danny Smith, Auxiliary National President Diane Duscheck and Department of France leadership. It truly was a gift from our Legion Family. OCW is an American Legion program, but so many of our donations are raised and given by the American Legion Auxiliary, the Sons of The American Legion and our Legion Riders that I really believe it is a gift from all of us. It is our special way of thanking heroes and families that have sacrificed on our behalf. The same goes for the National Emergency Fund (NEF). Since September 2017, during the height of hurricane season, NEF has surpassed $1 million in donations. That’s because of the Legion Family working together. And since January of this year, we have provided nearly $161,000 in NEF grants. Legion Family support doesn’t just come through monetary donations but volunteerism as well. July is a busy month for Americanism programs – Boys Nation and Girls Nation, Legion Baseball and the Junior 3-Position Air Rifle Championships – and they don’t happen without your volunteer efforts. And we are hearing about the impact of your volunteer efforts. The testimonial of Corkish is only one of thousands by those who have been positively impacted and influenced by the Legion Family through monetary donations and volunteerism. Download The American Legion’s “Why You Should Belong” brochure at www.legion.org/publications to learn about and share with others all the ways Legion Family members are improving the lives of veterans, military personnel, their families, communities and youth through resources, volunteerism, financial assistance, advocacy and more. 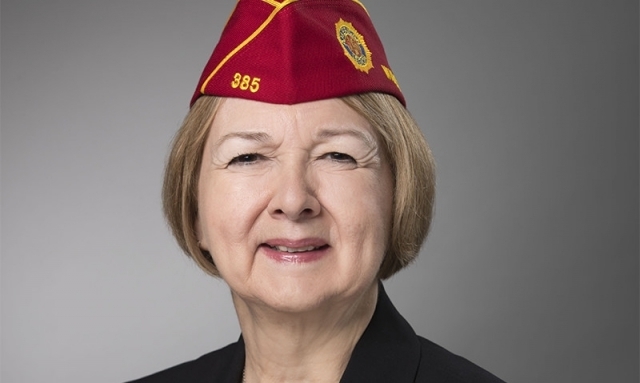 Even when my time as your national commander comes to an end, I will always look forward to hearing about the great things that Legion Family members are doing to promote the good of The American Legion and its foundation of service. Visit Legiontown U.S.A. and share why you love your post.